At Nickola Law, we know Michigan auto insurance and auto accident laws are complicated and confusing. Very often, individuals who have been injured in a car accident think they could fare better without paying fees to an attorney. However, when our Clayton Township car accident lawyers take on insurance companies, we let them know that we will not take less than what you deserve. Most insurance companies are not willing to pay out the full compensation or benefits that you deserve, even though, month after month, you pay your insurance premium on time, without questions or complaints. In order to get the compensation you deserve, you have to be aggressive and assertive with these insurance companies. Michigan No-Fault Benefits – Under Michigan no-fault laws, the benefits that you would receive if you have been injured in an accident, referred to as first-party benefits, include: medical expenses, reimbursement for the mileage to and from medical appointments relating to your injury, lost wages, replacement services, attendant care, and modifications to your home or vehicle that your injury medically requires. Michigan Mini-Tort – This law was passed to help victims of accidents recover losses if their vehicle has been damaged. Michigan does not require drivers to carry collision coverage for vehicles, although you can purchase collision coverage at your own discretion. The Michigan mini-tort law helps you to recoup some of the out-of-pocket expenses you have incurred repairing any damage to your vehicle. Pain & Suffering – Under Michigan no-fault law, compensation for pain and suffering is commonly referred to as third-party benefits. You can sue the other driver if their negligent acts caused the accident that you were injured in. However, these cases are difficult to prove and you will definitely need the assistance of an experienced Clayton Township auto accident attorney. Social Security Disability – Your insurance company may advise you to file for Social Security disability benefits if you have injuries that require ongoing care and extensive time off of work. Before filing for disability benefits, you should contact a lawyer, because filing for disability could harm your claim. Wrongful Death – If someone dies in a car accident due to the neglect of another driver, a surviving family member can file a wrongful death lawsuit. These lawsuits and the laws regarding them are also quite confusing. You should consult with a Clayton Township wrongful death attorney to help you file a wrongful death lawsuit. 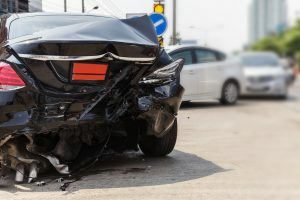 Despite what a lot of victims of car accidents think, filing auto insurance claims and pursuing personal injury or wrongful death lawsuits in court on your own can end up with less than fair results. If you want justice to be served and to collect the compensation you deserve, you need to call Nickola Law. We serve the victims of Clayton Township and their families and will not settle for less than the maximum amount you are entitled. Call us today at (810) 767-5420 or (866) NICKOLA for a free consultation or contact us online and one of our attorneys will get back to you as soon as possible.